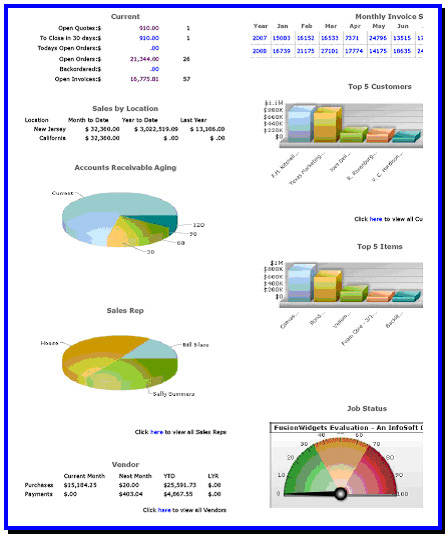 The Solution-IV Analytics e-Dash enables you to view and manage your accounting records from one dashboard screen. Use your browser to view all data. The page is set-up to display the information you most often use and then drill down to display more specific information. To view the e-Dash demo click here. Analytics screen: Displays the data you most often need to view. Click and Access data directly through your browser: Easy access through your browser. 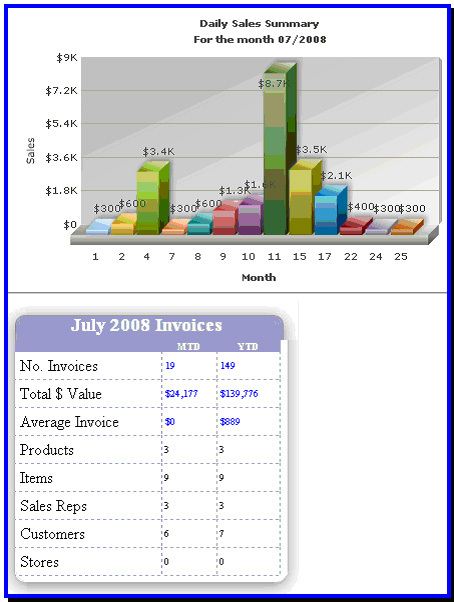 Can be customized for your business: Tailor the information to the way you run your business. Different main screens can be set-up for different departments. 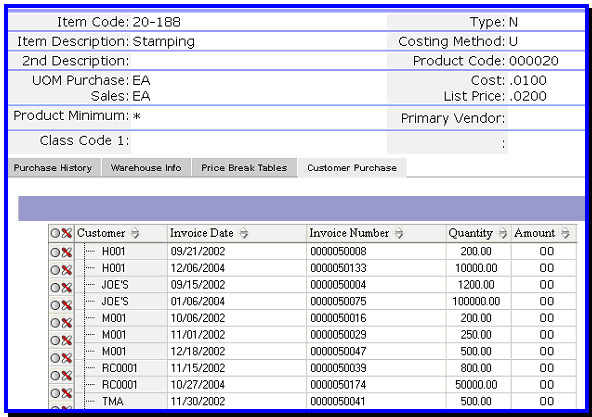 Display data to compare customer activity, monthly sales, amounts due, amounts received, orders, backorders, and more with grids and menus that can be filtered by column. 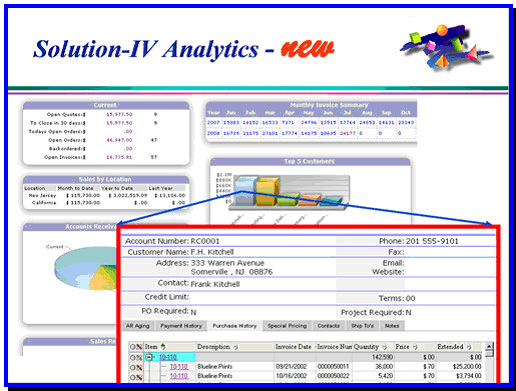 To make the decisions critical to your company, Solution-IV Analytics provides instant information at your fingertips from one screen. The ease of use will save you time and money. To see how e-Dash can help you run your business better click here.